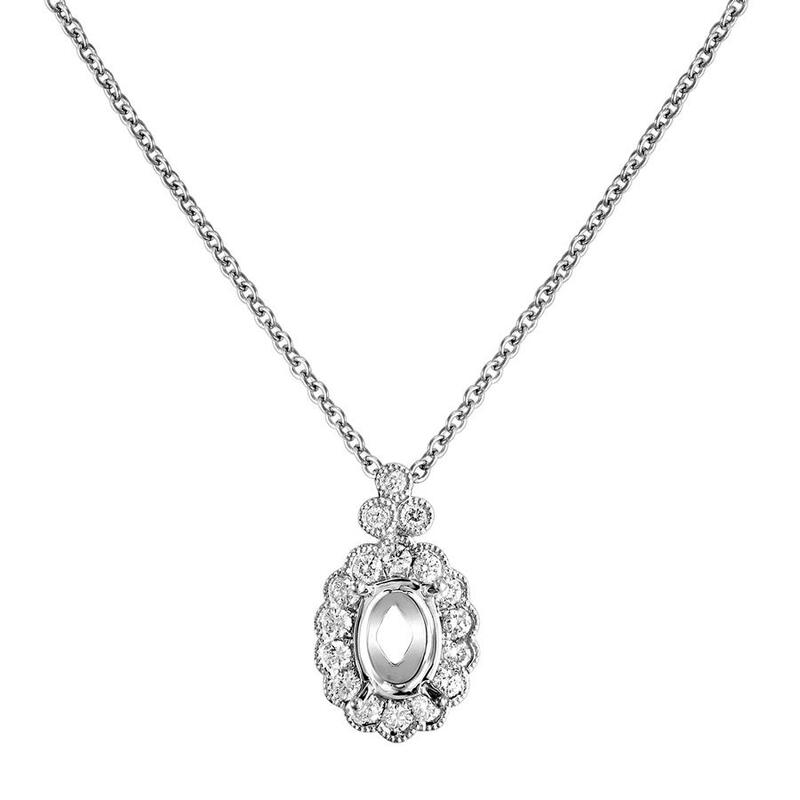 Bezel Set Round Diamond Pendant with Milgrain Edging For Oval Center. Pendant accommodates a 9x7mm Oval Center. Center stone to be set in 4 prongs.